On the 40th anniversary of the revolution, we explore how it redrew the geopolitical map, and how that realignment still shapes our world. Michael talks to Gary Sick, who was principal White House aide for Iran at the time of the revolution. Sick is now an adjunct professor of International Affairs and a senior research scholar at Columbia's School of International & Public Affairs. He's the author of All Fall Down: America's Tragic Encounter with Iran. 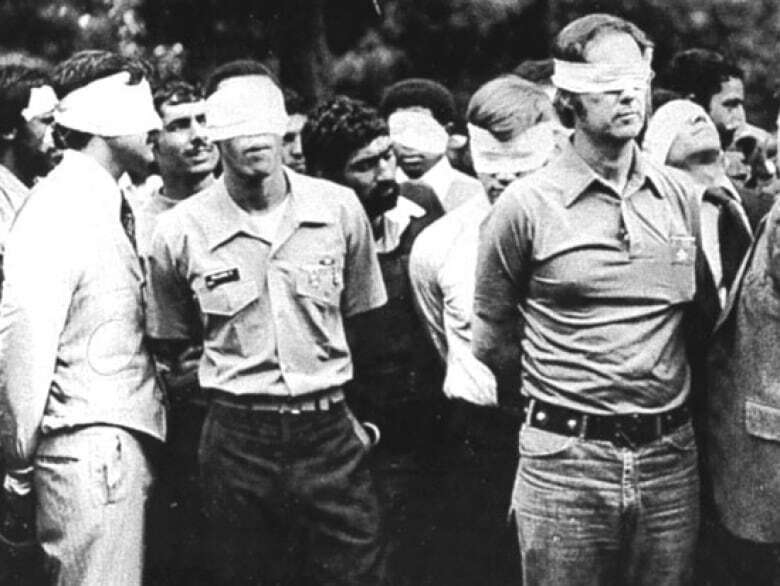 When Iranian students took control of the U.S. embassy in Tehran in November 1979 and held 52 hostages for 444 days, the story became a media sensation. 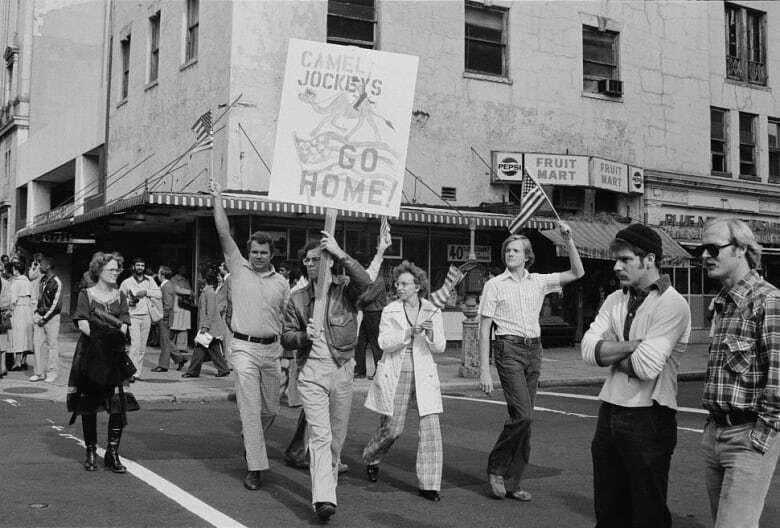 Gary Sick, who was the principal White House aide for Iran in 1979, said the television coverage of the hostage crisis gave Americans a warped understanding of Iran — and it continues to influence American foreign policy today. "This was the first televised foreign policy crisis that the United States had ever had, and it was beamed into the living rooms of every American, every night, for 444 days. You had this nightly picture of fanatic bearded young men waving their fists and shouting 'Death to America'," Sick told The Sunday Edition's host Michael Enright. "One generation after another has passed that image along ... and it has complicated politics. The Iranians have sort of moved on. Once a year, they remember the event and then they go on to do other things. In America, it really has never been forgotten, and Iran ended up paying a truly enormous price for that," he said. For decades, the United States has imposed punishing sanctions on Iran. It has also encouraged other countries to treat it as a pariah state. "The hostility and anger in American politics with regard to Iran, and its unwillingness to give Iran any benefit of the doubt — you can trace it back to that event," said Sick, who is now a senior research scholar at Columbia University's Middle East Institute. In 1979, the Iranian Revolution overthrew Shah Mohammad Reza Pahlavi and drove him from the country. Ayatollah Khomeini, the religious leader who became the face of the revolution, became Supreme Leader of the new Islamic Republic. In October 1979, the international community learned the shah, who was then living in Mexico, was dying of cancer. President Jimmy Carter agreed to let him come to the U.S. for treatment. 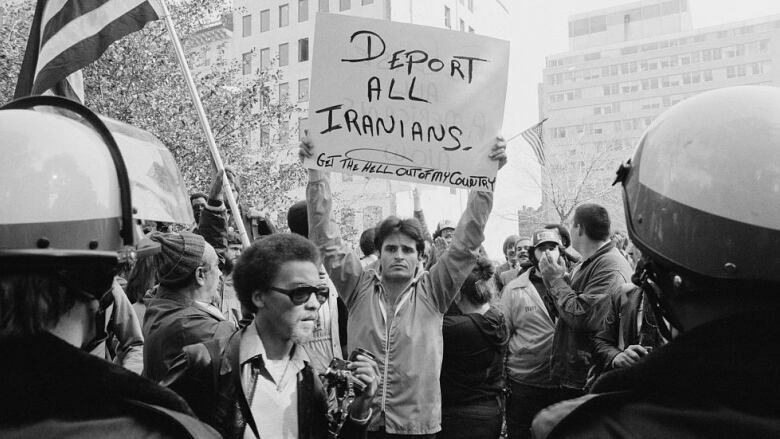 When the shah arrived in New York, some Iranians believed the U.S. was planning to help him return to power. 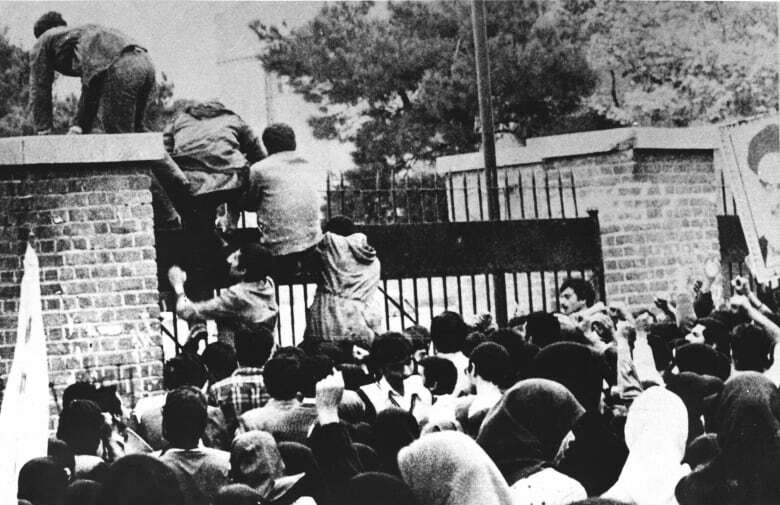 On Nov. 4, 1979, a group of students holding a protest against U.S. imperialism outside the embassy climbed over the walls and took over the building. 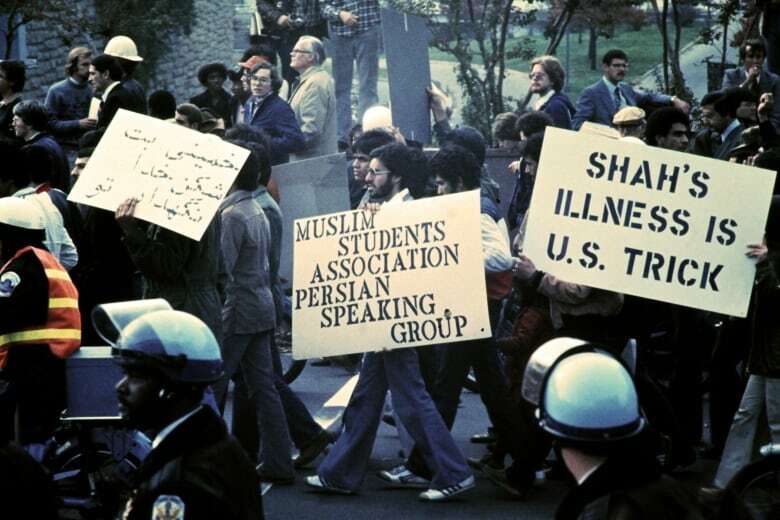 "The graduate students who took over the embassy did so because they remembered 1953, when the shah had fled the country to Rome, and then the United States and the British and others carried out a coup that overthrew Mossadeq, the elected prime minister, and brought the shah back from exile," Sick said. But no one — the students included — expected the crisis to last 444 days. "The students themselves thought they were just having a sit-in, and that they would only be there for a limited amount of time. Suddenly, the government threw its support to them. "They found themselves running a prison." Khomeini used the hostage crisis — which he described as a "second revolution" — to consolidate his power and get rid of domestic opponents. One of them was the prime minister, Mehdi Bazargan, who had been openly campaigning against Khomeini's proposed constitution. Bazargan resigned on Nov. 7, after Khomeini declared his support for the embassy seizure. "[Khomeini] won his internal political fight. He got his constitution accepted. The people rallied around him under this," Sick said. "[The hostage crisis] got rid of all the moderates in the Iranian government who had been brought in as a result of the revolution, and replaced them with hard-liners and clerics." When President Obama negotiated the JCPOA nuclear deal in 2015, Sick said it was a "huge shift" in how American presidents approach Iran. "President Obama was unique among American presidents, in terms of making a genuine effort to engage with the government of Iran … and he did that knowing that from a point of view of an American politician it's very dangerous to do that. You don't win votes by being nice to Iran," he said. "Then Trump came in and immediately reversed things, and took us back to ... I would say worse than where we were before, because he has focused his whole foreign policy in the Middle East around the illegitimacy of Iran and the need to combat Iran." Sick believes the U.S. has been in a state of low-level war with Iran for at least a year. "By walking away from the Iran nuclear deal and then imposing massive sanctions on Iran, the worst that we have ever imposed, we were taking Iran to war, basically," he said. At a conference in Warsaw this week, Israeli Prime Minister Benjamin Netanyahu issued a statement saying he was meeting with Arab leaders "to advance the common interest of war with Iran." His office later said he meant "combatting Iran." 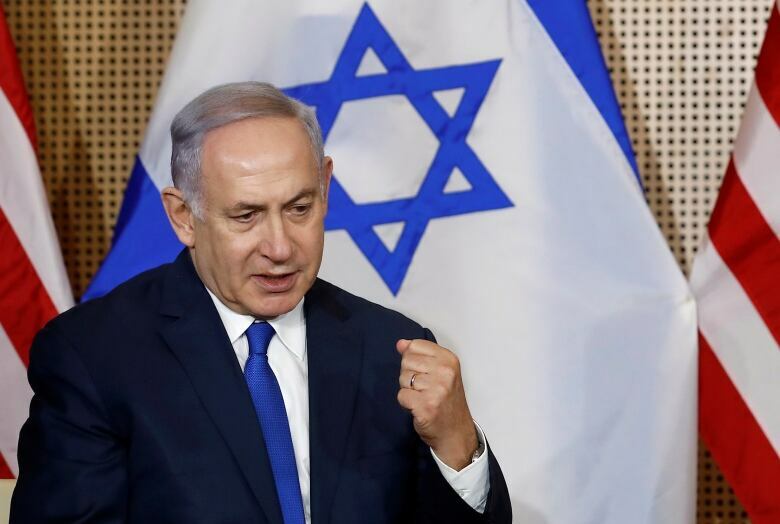 "Netanyahu, who is in a difficult electoral battle in Israel, has always used Iran as the threat that holds his coalition together domestically," Sick said. Opposition to Iran is also the basis of a global coalition, said Sick. Israeli Prime Minister Benjamin Netanyahu speaks as he meets with U.S. Vice President Mike Pence in Warsaw, Poland, February 14, 2019. REUTERS/Kacper Pempel - RC18743B8910 (REUTERS/Kacper Pempel)​"The United States has created a working alliance with Israel, Saudi Arabia and the UAE, and the glue that holds that alliance together is hatred and opposition to Iran," he said. "I think there really is an effort being made seriously among these parties, to coordinate their actions in a way that will bring down the Iranian government. That doesn't speak well for the long term peace and stability of the Middle East." Click 'listen' above to hear the interview.